The thought of a new season inspires me to do some shopping. 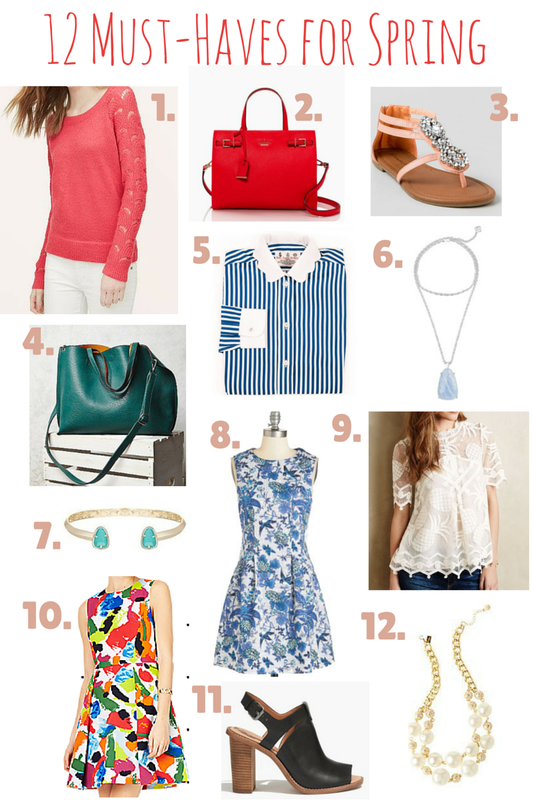 I am trying to hold off on making any purchases until it heats up outside, but here are some items on my Spring wish list for when the weather gets warmer! What are some of your spring must haves? I love the Kate Spade bag! Bright bags are always my favorite accessory for Spring time!